The year started wet and cool and ended warm and dry. 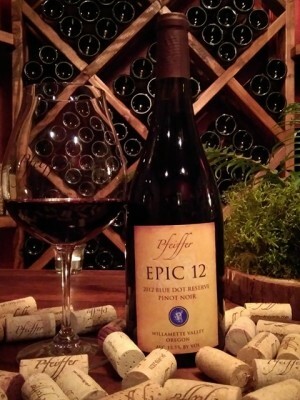 In 2012, all the planets aligned for this Pinot Noir to develop rich, ripe fruit through a long and warm Indian Summer. So good we bottled it unfined and unfiltered so you receive this wine in all its natural glory. A spicy nose of cloves, a palate of creamy, dark fruit, this stellar wine finishes with raspberries, cola, and a hint of lingering chocolate.